Did you have that refinished or is that stock? I have never seen that, before now. Natural was a stock finish on these, with Sunset Orange Transparent, Black, 3-tone sunburst and White Blonde. Oh yeah, it's the original finish alright. All stock. Has this sold now? I see the Reverb listing has ended. I started having second thoughts, so I ended the Reverb listing. So I guess this is now more of a "feeler" while I figure out what I want to do. 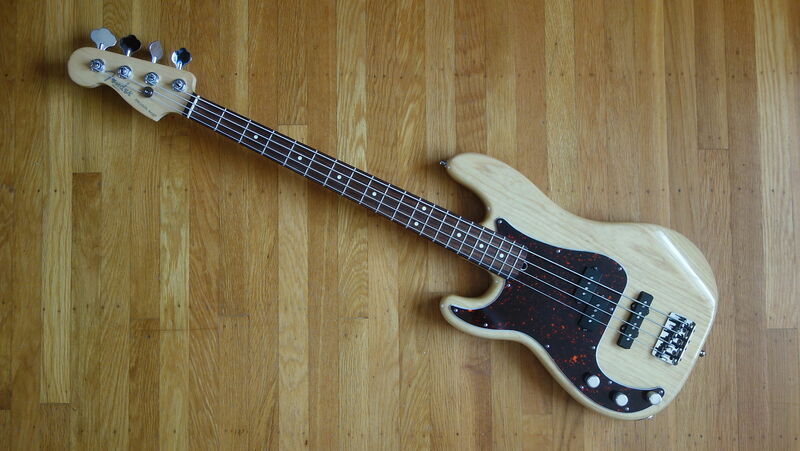 Looks all original for me as I have exactly the same bass, see pic.